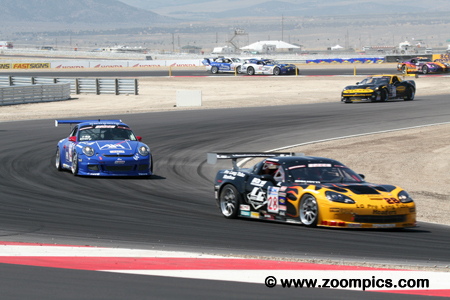 In 2006, Miller Motorsports Park staged its first professional sport car racing event. The track located just west of Tooele, Utah hosted the third round of the season’s World Challenge series. The 4.5-mile twenty-five turn facility is the longest road course in North America. The No. 28 Corvette of Lou Gigliotti led all fourteen laps to score his second victory of the season. It was not an easy win as Gigliotti was initially under pressure from second fastest qualifier Ricardo Imery and when Imery faltered Leighton Reese was there to challenge for the lead. Gigliotti’s battle with Reese took a toll on his Corvette but he was able to hold off a second encounter from Imery. Defending series champion, Andy Pilgrim, drove the No. 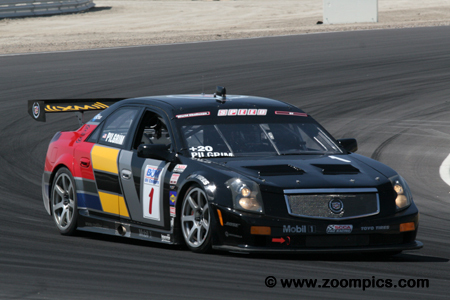 1 Cadillac CTS-V. He captured the last position on the podium after a fifth place start. Pilgrim finished third in the 2006 Drivers’ Championship – this could be attributed to four podiums and a win at Denver. After Ricardo Imery went off the track the No. 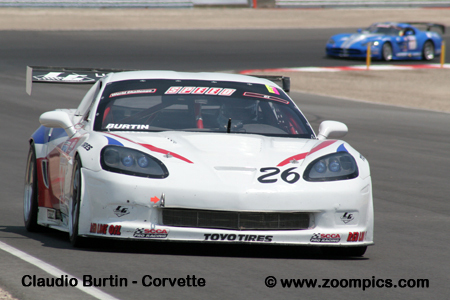 6 Chevrolet Corvette of third place starter Leighton Reese chased down the leader Lou Gigliotti. On lap-ten of fourteen Reese made his move on leader – the pair ran side-by-side down the front straight but Gigliotti held his position through corner-one. Reese’s race lasted only six more turns as the result of a driveshaft failure – he finished twenty-ninth. Michael McCann won the 2006 season opener at Sebring. McCann had several top ten results during the year but would only finish on the podium one more time – third at Long Beach. 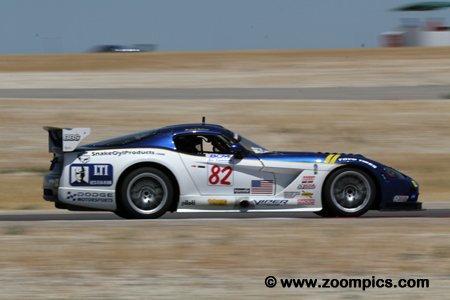 He started eleventh at Miller Motorsports Park and took the checkered flag in fifth place – the best result for a Dodge Viper. This ended Ritch Marziale’s race. Marziale was one of the quicker Dodge Viper drivers but a crash after eight-laps forced the sixteenth place qualifier to retire. 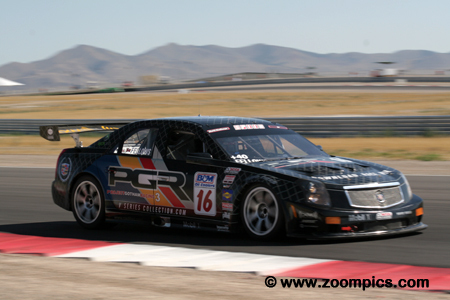 To support their efforts in capturing the Manufacturer’s Championship Cadillac entered Ron Fellows in a second CTS-V. 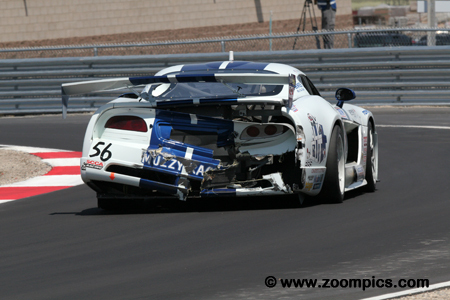 This was Fellows second appearance in the 2006 season. In his first outing, at Long Beach, he won. Fellows made a total of five starts – starting on the pole at Mosport and finished third there and at Denver. 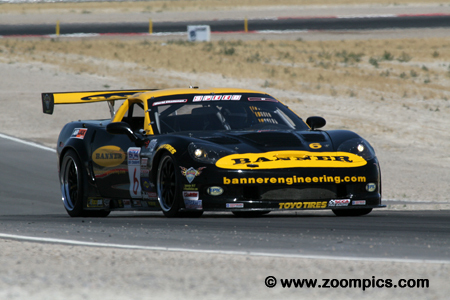 At Miller Motorsports Park, he finished fourth behind his teammate Andy Pilgrim. The No. 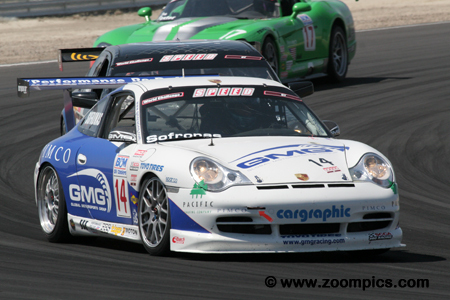 14 Porsche 911 GT3 was entered by the Global Motorsports Group for James Sofronas. Sofronas started from the ninth position and took the checkered flag in seventh. He had six top ten finishes during the season and was eighth in the Drivers’ Championship. 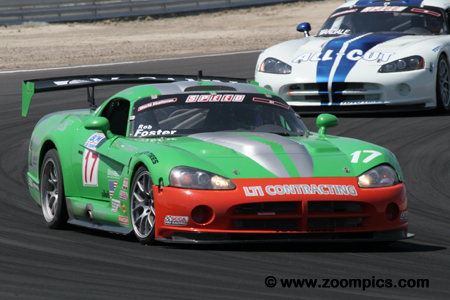 Another quick Dodge Viper competitor was Bob Woodhouse. 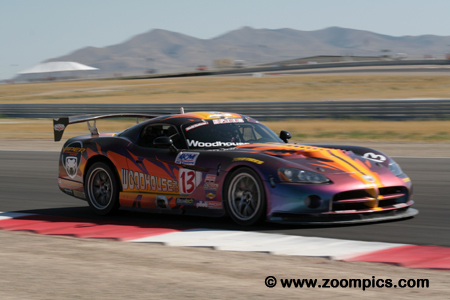 Woodhouse was a former new car dealer from Nebraska who sold his dealerships and started Woodhouse Performance specializing in Vipers. 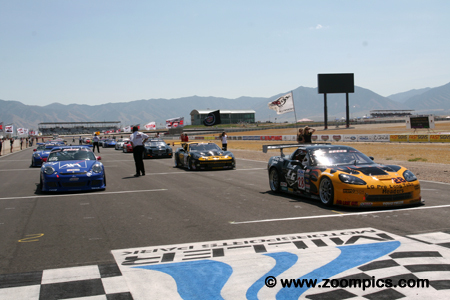 He finished sixth at Miller Motorsports Park after an eighth place start. Rob Foster started fifteenth which was in the back half of the field. However, Foster made good progress during the race and took the checkered flag in eighth place. He entered all the 2006 events and his consistency was rewarded with a ninth in the Drivers’ Championship.